I had a teacher in the 7th grade that I thought was a little nuts. She was older, probably in her early 70’s or so. I remember laughing at something in her class every day. Okay, well maybe I was laughing at her. We seemed to share the same sense of weird humor. I have a vivid memory of her writing on the board one day. She stopped in mid sentence, and with no preceding behavior on my part, said “Paulette, you’re crazy! Sooooooo craaaaaazy!” Mind you, she never even turned around when she said this. And, as if that weirdness never even happened, she just proceeded to finish what she was writing. Crazy. Yeah, that about sums me up. A few years ago, God began calling me to trust Him. I mean, really trust Him. It started when I began to dig into God’s word and see that the Creator of the universe was pursuing me. That’s right – little ‘ol insignificant, non-gifted, pretty ordinary me – being pursued by God Himself. I began to notice when God called ordinary people in the bible to believe in Him and to trust Him, they never remained ordinary. In fact, in every single instance, God called these ordinary individuals daring to believe Him, to do crazy things. Well, crazy by our standard anyway. I’m beginning to see that our crazy, is God’s normal. Moses? Ordinary. Split the Red Sea – Crazy! Elijah? Ordinary. Call fire down from heaven – Crazy! Daniel? Ordinary. Spend the night with hungry lions & live to tell about it – Crazy! Peter? Ordinary. Walk on water – Crazy ! I lovingly refer to this train as the Crazy Train. If the truth be known, I don’t want to be a passenger on the Ordinary Train. I really do want to experience God do crazy big things in me and through me. I’m convinced that when God knit me together in my mother’s womb, He used crazy thread. And you know what? I’m glad He did. Because non-crazy is boring. Ordinary is dull. I want to add my name to the list of people who did crazy things for God. And I’m just crazy enough to believe He wants me to. Tired of ordinary? 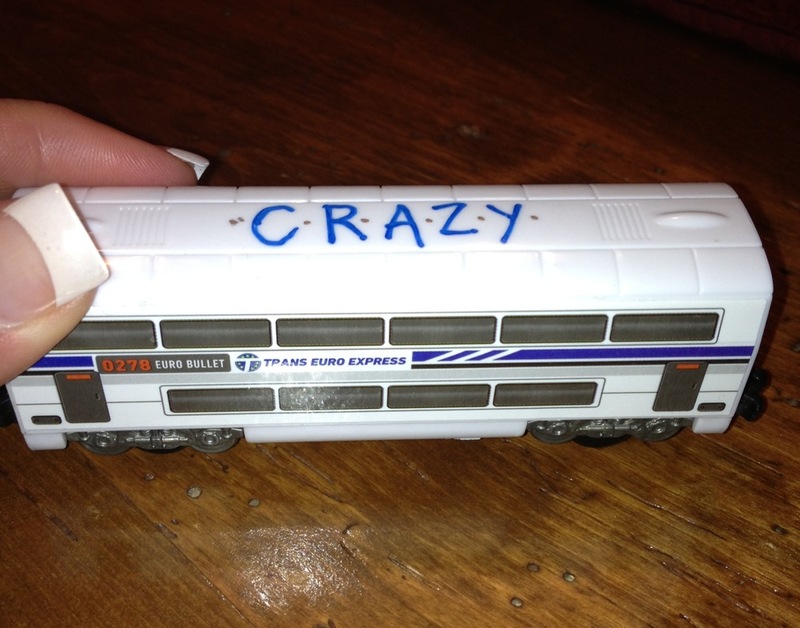 Jump on the Crazy Train with me. It will be the ride of your life!